Young Audiences (YA) Week will take place April 9-22. During these two weeks, we ask that you join the YA network to raise awareness about the importance of arts-in-education. YA Week is celebrated by the entire network of 30 Young Audiences affiliates in 22 states around the county with arts integrated programming and special events in schools and community venues. Check out these highlights from our affilates across the country! Young Audiences of Abilene will get a head start on YA Week with celebrations on April 6th and 8th. Martinez Elementary fourth and fifth grade students participating in the Young Audiences of Abilene-sponsored dance club will hold a Showcase performance for family and friends on April 6 at 4pm in the school cafeteria. 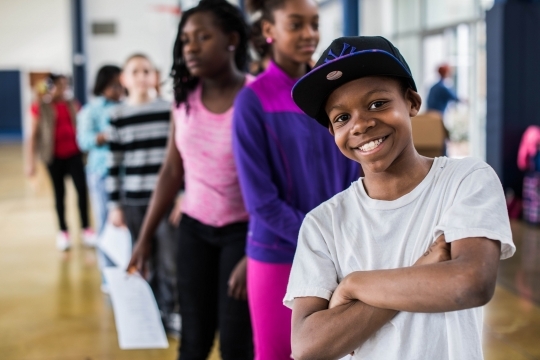 This event will give the students an opportunity to share what they have learned about the art of hip-hop dance under the guidance of teaching artist Domonique Gordon. On Saturday, April 8, the fourth and fifth grade members of the YAA-sponsored visual arts after-school program at Lee Elementary will have the opportunity to share their artwork with guests. Local artist and teacher Marianne Wood will have students’ work on display in the school beginning at 1pm. Arts for Learning Indiana will be celebrating YA Week by inviting legislators to join them for their arts in education programs in Indianapolis schools. Several state and local representatives are scheduled to visit programs scheduled in several schools during the two weeks of YA Week. Representative Dan Forestal will visit an early childhood program with Tap Team Two on April 10th. Senator John B. Crane will visit an early childhood program with Adzooks Puppets on April 11th. City-County Councilor Jeff Miller will visit long term residency programs at Saint Roch Elementary School with teaching artists Jingo de la Rosa, Usha Sirmille, and Lawrence Clark on April 11th. City-county Councilor Leroy Robinson will visit an after-school program at College Park Elementary School with Fiddle ‘n’ Feet on April 18th. YA Week will be celebrated in Connecticut with performances and residencies happening throughout the two weeks. YA Week for Connecticut will kick off April 8th with a public performance of performing artist Ginga Brasileira at the Hamden Public Library. Throughout these two weeks A4L Connecticut will have performances take place in several schools and community centers throughout the state. Learn more about A4L Connecticuts performances and residencies by clicking here! Arkansas Learning Through the Arts will be celebrating YA Week a few days earlier by joining a state-wide giving day, Arkansas Gives, on April 6 to help raise funds to support art programming in schools. ALTTA will also celebrate YA Week with teaching artisit Chris James and his residency at Bryant Elementary School. James brings poetry to this elementary school to demonstrate to students the power of the written word to influence change in thinking and behavior. To learn more about the residency please click here! Rainbow Puppet Productions Animal Parade-Meet some of the animals you may or may not already know as they sing songs about their homes, how they live, and what they eat. Your students will enjoy this program that is fun for children and very animal friendly. Happening at Francis Ashbury Elementary School Thursday, April 13th. Curtis Blues-Up-cycling: Turning Junk into Musical Instruments from African to Amercia-This interactive assembly program challenges students to think about how using recycled materials to make folk instruments is similar in Africa, South America, and America. Using the STEM engineering design model as a guide, Curtis Blues performs on a wide variety of instruments made out of gourds as well as “up-cycled” re-purposed materials. These examples encourage discussions with students about how responsible green practices can go far beyond just turning a discarded bottle into another bottle by recycling. We can use discarded items to create musical instruments just as people have been doing all over the world throughout history. This will take place at Arlington Traditional School Friday, April 21st. And much more! The Wiggle Jig-Wiggle Jig is a research-based early childhood dance education program designed to improve Kindergarten readiness in children ages 3-5. The program, developed by BalletMet Columbus, creates an enjoyable educational environment and builds young children’s social-emotional, neuromotor, and cognitive skills through fun, physical movement. 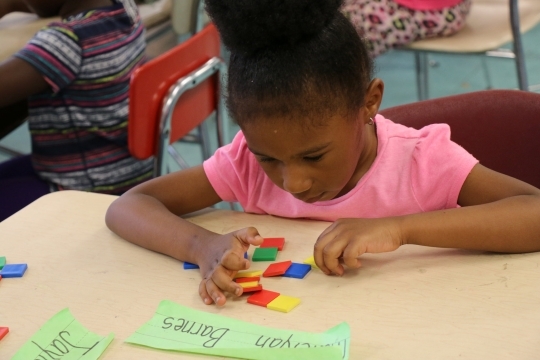 In addition to strengthening young children’s brain development, the Wiggle Jig curriculum enhances learning in core subjects, including math, science, social studies and literacy. Each residency consists of ten or more workshop sessions in which a professional teaching artist team (combining dance and music) works with students alongside their classroom teachers on activities and instruction that deepen learning both in and through dance. 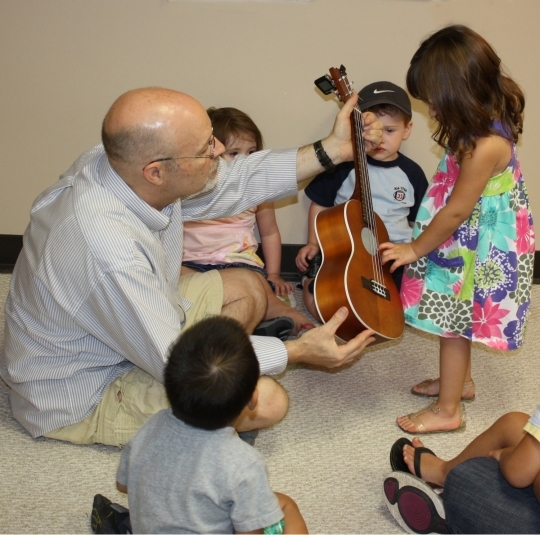 Music, creative play and a carefully selected range of movements are part of every workshop. This program will take place April 10th at Kiddie City Child Care Community and Franklin D. Roosevelt Academy. Digital Storytelling-Digital Storytelling is a short form of digital media production that allows students to share aspects of their life story. The goal in the ‘Narrowing the Generation Gap’ Digital Storytelling three-day residency is for Jimmie Woody, actor and director, to assist students in designing and producing a three-minute digital story that expresses human and civil rights. Students’ will craft and record narratives along with collecting still images, video, and music to illustrate their pieces. Eventually, they are guided through computer tutorials that enable them, with Jimmie’s support, to edit their own original stories and upload them to Center for Digital Storytelling’s website. This program will take place April 12th at Bolton Elementary School. And much more! Young Audiences of Louisiana in partnership with The Helis Foundation announced plans to expand their successful early learning program, Baby Artsplay!™, to eight cultural institutions across the city of New Orleans. Beginning this Spring, Baby Artsplay!TM will be offered as a series of six free 30-minute workshops held weekly to engage young children ages 12-24 months and their caregivers in research-based performing arts experiences that support their cognitive, physical, and social development. The Louisiana Wolf Trap Baby Artsplay!™ teaching method taps into children’s innate desire for active, multi-sensory learning through purposeful singing, dancing, and movement.